Ordinary mortals associate Russia with the Red Square or Trans-Siberian railway. And our eastern neighbors have been running a thriving alternative music scene.. If anyone wonders, about the condition of the club scene in Russia, undoubtedly that record is the answer to the question. 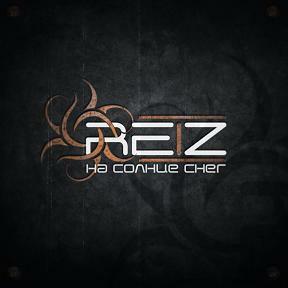 Reiz is a single person musical project specializing in aggrotech with its different shades. Alexander Verzicht on the occasion of his debut pretty messed up. First of all, we are dealing with two disc release, namely the base album consisting of 12 tracks, and in addition we get the record with 11 remixes, preceded by a special intro. In terms of the base content, the artist moves freely with different musical genres, flavoring his works with a strong beat or such unexpected elements as woven into individual pieces symphonic elements. Indeed, the intro itself nicely introduces to the sublime mood and prepares to at least intriguing contents of this release. On that album you can find the soothing sounds of the piano, which are not often found in dance tracks, and adding to that, the artist differentiates the whole with orchestral inserts, having the courage to create rich and spatial compositions. The musical layer is both intensely danceable, but it has also melancholy tracks too. Vocally we are mainly dealing with melorecitation with its varying intensity, but there is a gem, beautiful, gentle ballad Undone, recorded with the help of Miriam Miles. Sounds on that album are addictive and as varied as possible. Each song is different, recorded with unflagging energy, which pleasantly surprise. I hope that soon that debut will have a worth listening continuation.